Remember when phones were only used for making calls? Today, they’re used to transfer money, write emails, play movies, take pictures, make purchases, video chat, and more. In fact, calls only account for a small fraction of phone use. Remember when phones were only used for making calls? Today, they’re used to transfer money, write emails, play movies, take pictures, make purchases, video chat, and more. In fact, calls only account for a small fraction of phone use. In the past 20 years, the shift in technology has caused a lot of companies and jobs to go extinct, but a select few — those that anticipated and welcomed change — survived. Now healthcare is undergoing a similar shift. 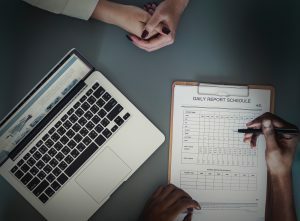 Data and technology advancements are revolutionizing the healthcare landscape, from patient exams to medical records to staffing and scheduling. On top of that, healthcare is primed to become a trillion-dollar industry within the next five years. But one complication remains: Hospital executives are notoriously reluctant to embrace change, and this reluctance is slowing advancements throughout their facilities and the industry as a whole. 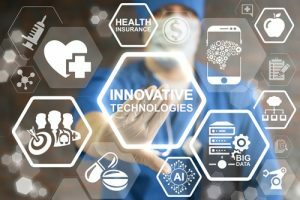 So with an inevitable wave of change coming to healthcare, you must decide whether you’re going to hold your hospital back or embrace these innovations and be on the forefront of the healthcare revolution. For quite some time, healthcare execs have been so focused on getting reimbursed for services, cutting spending, and growing profits that they’ve become unwilling to invest in new data infrastructures or technologies. Even if tools offer significant benefits to patients, professionals, and the organization, they’re often written off as extraneous expenses. This reluctance to move beyond the flawed fee-for-service business model has stalled innovation and promoted inefficiency throughout the industry. 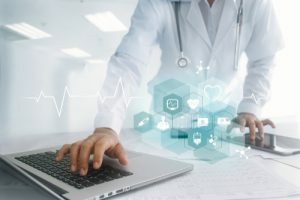 For example, electronic health records are considered basic but beneficial technology and data advancements, yet only 44 percent of hospitals and 40 percent of physicians have adopted a rudimentary EHR system. And of the $2.6 trillion Americans spend on healthcare each year, about $750 billion of it is wasted on unnecessary and inefficient practices and technologies. Automated banking transactions would take days, not seconds, if banks grappled with the same number of missing files that hospitals do. Different blueprints would be delivered to the construction team, electricians, and plumbers at work sites — with little collaboration among them — if construction were like healthcare. Prices would be difficult to locate or make sense of in grocery stores, varying widely within the same location, if supermarkets operated like the healthcare industry. At this point, healthcare in the U.S. has reached a crossroads, where the reluctance to progress is not only hurting an industry, but also an entire population. As a healthcare exec, you must stop viewing these technologies and data infrastructures as superfluous accessories. It’s time to start identifying them as valuable tools that will revolutionize a struggling industry by improving the quality of care, preventing diseases instead of just treating them, cutting costs without sacrificing jobs or care, and offering insights that might have otherwise been overlooked. In the coming years, if you don’t get on board with change, you (and your organization) will inevitably be left behind. But luckily, it’s not only possible for you to catch up in the tech and data game — you can also lead and propel the industry. 1. Get your feet wet. There’s no doubt that your schedule is jam-packed, but you’ve got to make education a priority. Start by trying to work in 30 minutes of education every week. That might mean taking online courses during your lunch break, listening to podcasts during your commute, or watching a video while you’re at the gym. You need to work tech into your schedule. 2. Utilize online learning tools. There are so many online learning tools available for these technical areas — some are even free. Popular examples include Codecademy (which teaches you to code through free interactive instruction) and Coursera (an education platform that partners with top universities and organizations to offer free online courses). You can even use YouTube or Google — they’re great places to start when you want to increase your technical knowledge. 3. Test-drive tech software. Many software tools, such as Tableau, offer free trials that allow you to discover what they have to offer before you invest. You can get ahead of the curve by playing around with their interfaces and becoming familiar with their capabilities, even if you don’t plan on using the software full-time. 5. Take a class. If you live near a university or know of a school with online options, consider taking a course in data or business analytics. It may be a heftier investment than the other options, but it’s definitely one that can pay dividends in the future. 6. Become an advocate. As an organizational leader, it’s up to you to become a catalyst for change. 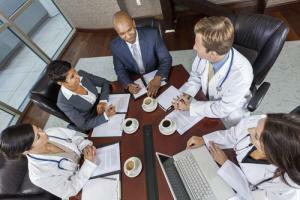 If your hospital is going to be on the forefront of your industry, you have to advocate for education and advancement. 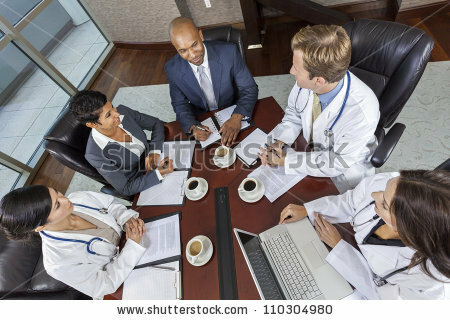 Talk to your board and peers about the importance of investing time (and money) in organization-wide education, and suggest tools or resources for advancing change throughout the hospital. Whether you like it or not, change happens — just ask any telephone company executive from 1995. 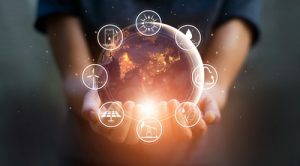 And as the world advances toward more tech-driven, data-centric healthcare models, you need to prepare yourself and your hospital by investing more time, energy, and resources into tech and data education. Only those who embrace change, adopt technology, and develop a passion for making their hospital the best will be around in 20 years to tell the tale.